Maid Agency Singapore: Should You Hire A Part Time Or Full Time Maid? Should You Hire A Part Time Or Full Time Maid? The type of work that you need these maids to help you with in your house will be a key determinant when hiring them in Singapore. 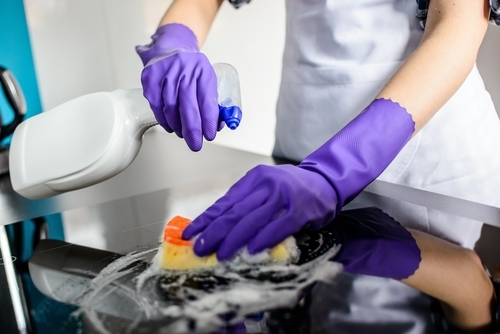 You must do your analysis since it would be crucial for yourself when planning to hire these maids in Singapore to assist you maintain cleanliness of your house. You will definitely understand the reasons why you would need them as you make a decision of hiring them in any town in Singapore. When you have a big family, the chances that you will have more work in your house that needs a full time maid is higher as opposed to when having a small family that needs less attention in terms of the work that they need. When you hire these maids in Singapore, you must understand the level of work that you will enjoy them to do when making your ultimate decision on what will work well for you. During the period with the maids in Singapore, you should understand the reasons why hire maids in Singapore when planning for their services. You must know that it would be crucial for you to enjoy their presence in your house. The amount of money that you have and willing to spend on these maids in Singapore should be important on whether you hire a part time or full time maid. Most of full time maids earns more when compared to the part time ones. During your time when hiring them as a part time or full time maid, you will sign a contract that will make them work excellently well when acquiring these maid industry as you decide on them. How should you pay them a full time maid in Singapore? Whether you hire a part time or full time maid, you must hire the best that will provide you services that would work perfectly well for you. Full-time and live-in maids are paid as little as about $450 per month, with expats always pay them about $650 or more, which depending on the level of their experience. All employers must pay a monthly routine levy of $265 to the government of Singapore, plus another security bond of about $5,000. You must consider these factors before you can decide on whether you will have a part-time or full time maid in Singapore. One advantage that you will enjoy when living in Singapore is the affordable domestic help. Majority of expats – such as singles or couples with no children – may find that hiring the services of maid once or twice in a week is adequate. But for others, who have big families, hiring a full-time maid is the best alternative to help with cleaning, shopping, cooking, ironing as well as childcare can always be a blessing. Most maid Singapore are from Indonesia, the Philippines and are conscientious and diligent women who work in Singapore to support their own families back at their homes. Part-time maids are also available for in between $10 to $20 an hour, depending on their levels of experience as well as type of work that you want them to help you do. When hiring one, you can do it independently when having experience or through a reputable recruiting company. During the time when hiring these part-time maids in Singapore, employers have the responsibility of providing insurance, accommodation, food as well as medical care for these maids, on to top of hiring costs, the airfares for their bi-annual home leave, an annual bonus and transfer costs. However, it is important that one negotiates with the part time maids in Singapore on the best working terms and conditions before making a decision of hiring them or not. This will help them understand their roles when living with these maids in their homes or on a part-time basis. This will avoid the problems that often exists when contracts are never negotiated through these processes especially when looking for these excellent options. First-time employers should ensure they have a complete Employers’ Orientation Programme that involves attending the session in person for a $20 or just taking a 2-hour course online at the cost of $30. This will enable the maids understand their responsibility when applying jobs as full time or part time maids in Singapore. Maids must be given every Sunday or any public holidays off, with a 2-week holiday in every two years to go back to their home country. You must ensure that you do understand these terms since they play an important role in determining whether you will hire a full time or part time maid in your home. The conditions have been set by the Ministry of Manpower thus one must understand before ensuring that one maid is hired during the process when making that perfect decision. 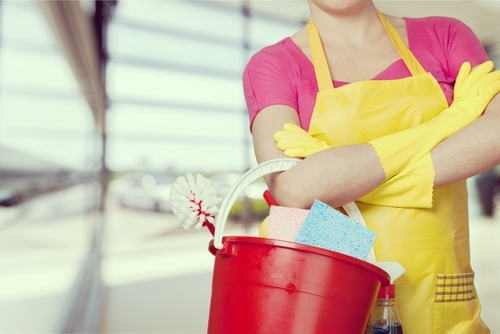 What is the cost of hiring a part time or full time maid from the agencies in Singapore? When you lack experience on how to hire a part time or full time maid in Singapore, you can hire an agency that will help you through this tedious process. Their fees vary, but can go as high as $400, depending on the level of experience and skills a maid in Singapore will have when hiring them. You can ensure that you negotiate for these services since you will be able to save some money when hiring their services when hiring a part time or full time from the agencies in Singapore. In conclusion, the above information will help you know whether to hire a part time or full time maid in Singapore.